The Fall session of the fire safety class at the Houston Fire Museum is going on now. It is $5 per class (and $2 per additional child). Classes are held on September 6, 13 , 20, 27 and Oct. 4, 11, 9:00 to 10:00 am. My kids really enjoy the museum and the classes. The class is for children 2 to 5 years old and includes group activities, role playing, videos and craft projects. Each week covers a new topic: My Friend the Firefighter, Get Low and Go, Stop! Drop! And Roll!, Safe for Play! 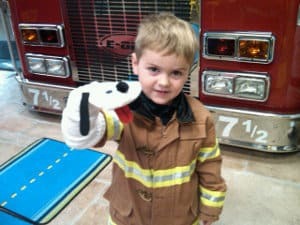 Keep Away!, Sparky’s Hazard House and Meet a Firefighter. 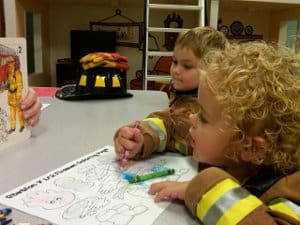 My kids are not in to sports or music yet, but they love the Fire Museum and learning about firefighters. I recommend checking it out.